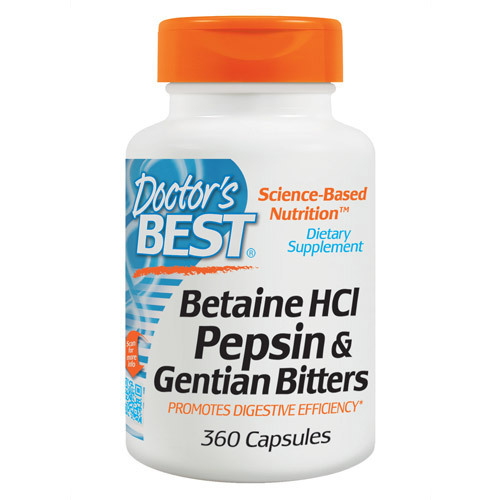 Doctor’s Best Betaine HCl Pepsin & Gentian Bitters may support the stomach’s digestive capacity and optimize digestive efficiency. 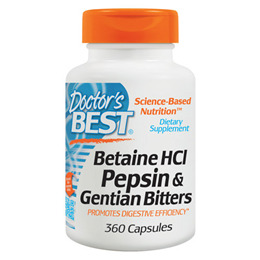 Betaine HCl may support the stomach`s digestive capacity by decreasing gastric pH. Pepsin is an enzyme produced by the body to digest protein-containing foods in the stomach. Gentian is a herb used to optimize the digestive capacity. Its bitter nature may help to stimulate the body`s production of digestive enzymes. 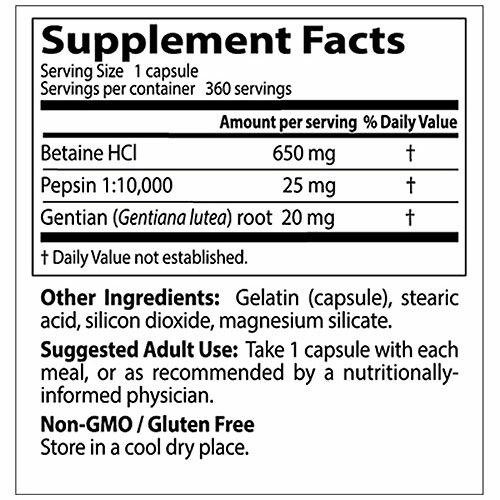 Betaine HCI, Pepsin, Gentian (Gentiana lutea) root, gelatin (capsule), stearic acid, magnesium silicate, silicon dioxide. 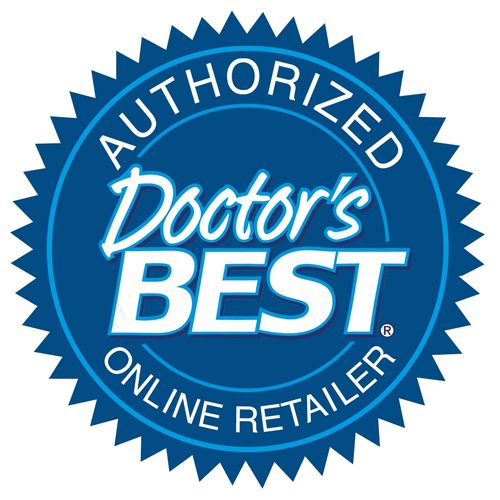 Below are reviews of Betaine HCl Pepsin & Gentian Bitters - 360 Capsules by bodykind customers. If you have tried this product we'd love to hear what you think so please leave a review. Betaine HCl has really improved my bad digestion and with this brand I need fewer capsules thanks to the high dosage, which together with the big pack makes them competitively priced. I have Pernicious Anaemia, which means I have at best, low stomach acid, which leads to mal absorbtion of nutrients, fermentation of ingested food and production of bad bacteria - result -misery! This product can lead to better health and help digestion problems caused by Hypochlorhydria/Achlorhydria. It’s a natural solution and non addictive. Not prescribed by doctors who prefer to promote the terrible PPIs! ( I wonder why?). Just need to find right dosage, which can be done by trial and error . Helps me no-end. For a long time I'm using betaineHCl because of lack of hydrochloric acid. Now I use this one and it works better. I think It is debt to the gentian bitters. My reflux has stopped since using these, hopefully improving my B12 absorption too. Have tried Betaine previously from a different company. These are cheaper and work just as well. Just what i needed. Works well. The only product of this strength (650mg) that does not include milk/dairy that is available in the UK (to my knowledge). It's not the cheapest but it does the business.